Former Auschwitz guard charged 300,000 accessory to murder counts. 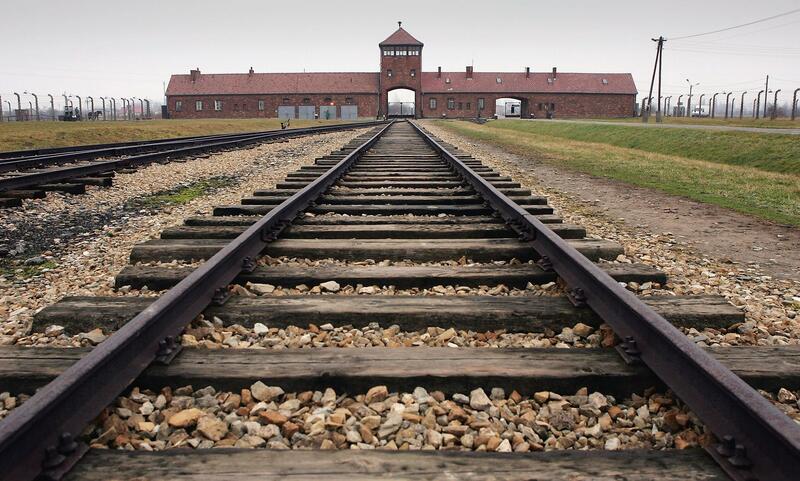 The railway tracks leading to the main gates at Auschwitz II – Birkenau. Groening, who reportedly is in good health and who has been questioned, is one of about 30 former Auschwitz guards who German federal prosecutors started investigating last year. That move followed the successful prosecution of former U.S. autoworker John Demjanjuk, who was convicted in 2011 of 28,060 counts of being an accessory to murder. Earlier this year, Nazi hunters presented their recommendations to authorities in Hannover, who launched a formal investigation. *Correction, Sept. 16, 2014: This article originally misstated that the charges against Oskar Groening came 50 years after the Auschwitz killings. The charges were filed 70 years afterward.